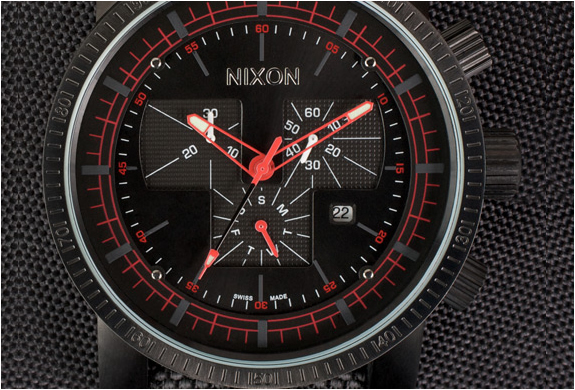 Nixon s some interesting high end models, such as the Magnacon. 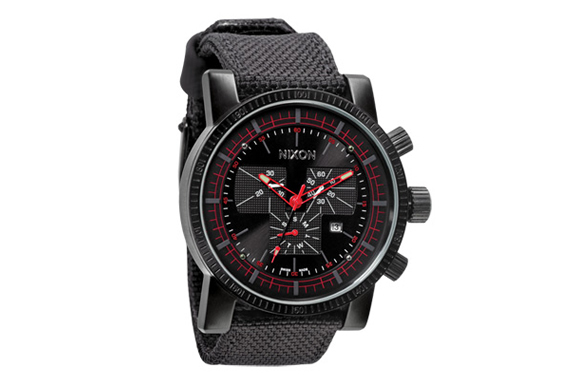 It has a custom 200 meter titanium carbide coated stainless steel case, scratch resistant sapphire crystal, and ripple gasket screw crown. 6 hand Swiss made Chronograph movement with day and date. 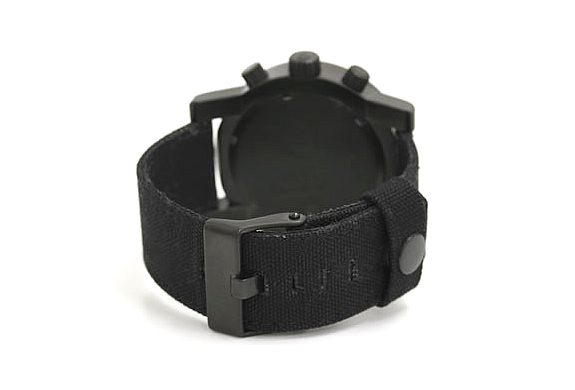 Custom developed ballistic nylon band with titanium carbide coated buckle.